Bullish calls included some big names that American consumers love. And bearish calls included some embattled industry leaders. Spring arrived this past week and brought some fresh volatility to the markets. It was also a week in which investors heard the latest views from the Federal Reserve and recession fears were stoked again, especially after the yield curve inverted for the first time in more than a decade. After all was said and done, the big U.S. indexes ended the week marginally lower. As usual, Benzinga continues to examine the prospects for many investor favorite stocks. The following are just a few of this past week's most bullish and bearish posts that may be worth another look. "4 Reasons RBC Continues To Love Netflix's Stock" by Wayne Duggan provides specific reasons why one key analyst is bullish on Netflix, Inc. (NASDAQ: NFLX). Should investors expect the momentum to continue as well? Mary Meldrum's "Starbucks Revamps Rewards Program" shows why an expansion of the Starbucks Corporation (NYSE: SBUX) loyalty program is expected to drive additional sales growth and market opportunities. 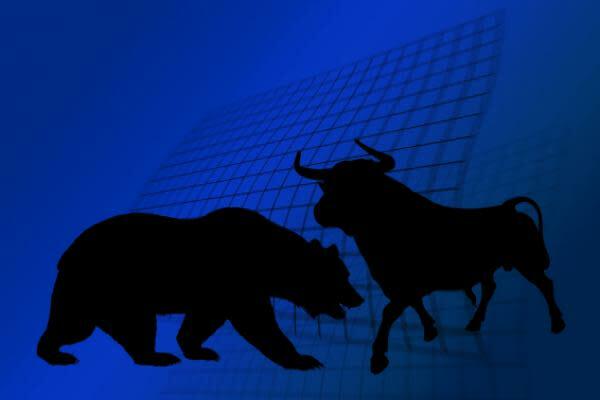 One bull bought last week's dip in Altria Group Inc (NYSE: MO), according to Elizabeth Balboa's "Bank Of America Raises Altria Price Target Despite FDA Risk." Will the FDA's agenda change under a new commissioner? In "Credit Suisse: New Fox Could Be Fastest Growth Option In Media," Dave Royse points out why Fox Corporation (NASDAQ: FOXA) may have the fastest revenue growth in the industry over the next few years. For additional bullish calls, also have a look at "Sell-Side Largely Bullish On Nvidia, With Eye On Anticipated Second-Half Recovery" and "Canaccord: Igniting Under Armour's Product Portfolio Will Take 'Herculean Effort'." In Wayne Duggan's "Argus Downgrades Boeing On Near-Term 737 Max Risk," see why one Wall Street analyst is among those stepping to the sidelines on Boeing Co (NYSE: BA) for the time being. "Needham: Facebook No Longer A Buy Amid A 'Negative Network Effect'" by Jayson Derrick discusses why the bullish case for Facebook, Inc. (NYSE: FB) has come to an end for one key analyst. A near-term recovery for Biogen Inc (NASDAQ: BIIB) may not be in the cards. So says "Analysts Digest Biogen's Alzheimer's Disappointment: 'There Isn't Much To Be Excited About'" by Shanthi Rexaline. Dave Royse's "Tencent Music's First Quarterly Print Since IPO Out-Of-Tune With Investors" suggests that an earnings beat was not enough to satisfy Tencent Music Entertainment Group (NYSE: TME) investors. Be sure to check out "Elon Musk Vs. Jim Cramer: A History" and "Wells Fargo Expects FedEx Margins To Remain Under Pressure From Market Woes" for additional bearish calls.